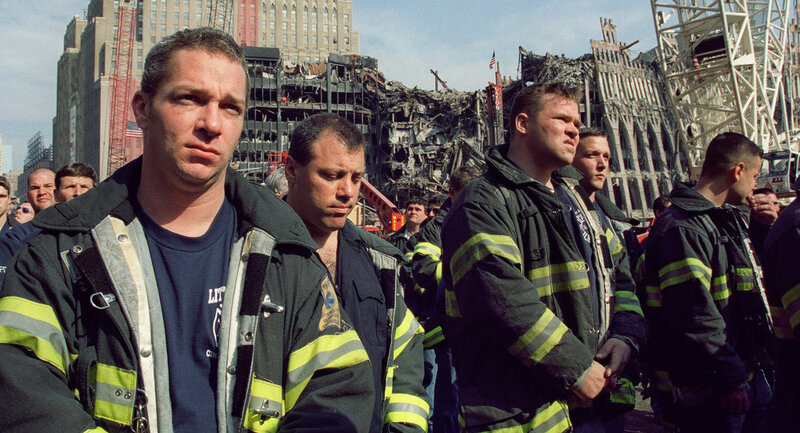 The number of first responders to the September 11, 2001, terrorist attacks at the World Trade Center in New York City who have been diagnosed with cancer has reached 3,700. Those suffering from cancers certified by the federal government as 9/11-related include members of the New York Fire Department (1,100), police and other Ground Zero responders (2,134), and survivors such as downtown workers and residents (467), the New York Post reported. 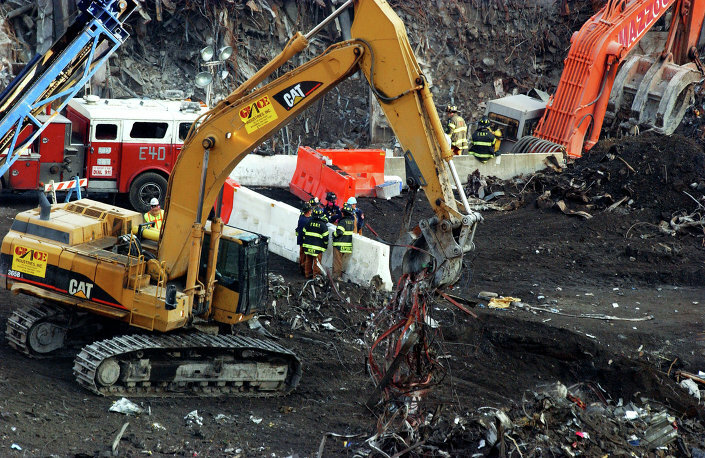 New York City firefighters and others gather around a barricade as excavators remove debris, Wednesday, Nov. 28, 2001, as the recovery and cleanup mission continued at ground zero of the World Trade Center in New York. The FDNY's chief medical officer, Dr. David Prezant, said more than 2,100 firefighters and EMS personnel have retired on disability with World Trade Center-related illnesses, mostly lung disease and cancer, since 9/11. "Due to the physical nature of their jobs, these illnesses have had a tremendous impact on our membership and their families," he said in a statement obtained by the Post. That includes 109 FDNY responders who have died from Ground Zero-linked illnesses, 44 of them from cancer. FDNY Deputy Chief Thomas Riley, 58, was diagnosed with non-Hodgkin's lymphoma, a blood cancer. A tumor formed behind his right eye. "That was a shock to the gut," he told the Post. On 9/11, Riley rushed from his Long Island home to his Jackson Heights firehouse and led his fellow firefighters to Ground Zero. There, they dug for survivors until 3 AM and returned every morning that week. "All day long, you had debris flying in your eyes. You were constantly rinsing your eyes," said Riley, who spent months searching for remains in the wreckage. The married father of three will need lifetime check-ups every six months in case the cancer returns or spreads to his other eye, the Post reported. Riley has lobbied Congress to extend the 9/11 Victim Compensation Fund, which provides medical treatment for Ground Zero responders. The fund expires in October 2016.